Kashmir is well acknowledged as fishing and angling paradise. It has many snow and spring fed streams and large rivers such as Erin, Doodh Ganga, Lidder, Aharbal, Ahlan, Sindh, Ferozpur, Daksum, Hirpur, Noobug and Krishen Ganga, which starts melting between May to July. Thus, offering an outstanding opportunity to adventure freaks who are seeking for activities like angling and fishing. If you want to have a lifetime angling and fishing experience, then our 9 nights and 10 days tour is what can fulfil your wish. 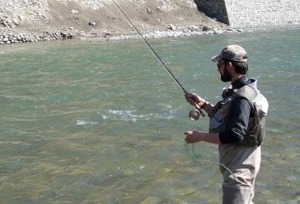 Trout fishing in Kashmir is famous worldwide and attracts angling and fishing interest holders to live their hobbies while enjoying their vacations right in the paradise on the earth. We arrange fishing and angling expedition in the Lidder Valley and Sind valley to offer you a lifetime experience. On arrival at Delhi airport, you will be welcomed by our representative & transfer to the hotel for an overnight stay. Morning is free for leisure. After breakfast, transfer to Delhi Airport to board the flight for Srinagar. On arrival at Srinagar Airport, you will be welcomed by our representative & transfer to the houseboat. In the afternoon, enjoy Shikara ride at Dal Lake. Take pleasure of a night stay at the houseboat. Morning at leisure. After breakfast start your drive to Sonmarg. On arrival, check-in at the hotel. An overnight stay at the hotel. In the morning leave for trout fishing in the upper Sind valley. Enjoy full day trout fishing in the valley and an overnight stay at Sonmarg. The Sind River forms the Sind Valley. The source of the river lies in Machoi Glacier at an elevation of 4800 metres are two of the larger rivers like Sindh or Liddar, which are full with snow and start melting from May to July with an occasional pool under boulders. In April, August and September these rivers are quieter and the bigger fish are said to lie in the still water. Full day is free for trout fishing in the upper Sind valley. The Sind River is the natural habitat of trout, and other various types of fishes. The most famous among them are Brown trout (salmo trutta fario), Rainbow trout (salmo gairdnri), Snow trout (shizothorax), Shuddgurn & Anyour. An overnight stay at Sonmarg. In the morning, drive to Pahalgam for trout fishing at Lidder Valley Pahalgam. Enjoy a night stay at the hotel. The whole day is for trout fishing in lower Lidder valley. In the evening, return back to the hotel for overnight stay. Pahalgam is one of the Kashmir's important Fishing retreats. The water bodies in area are rich and offer great opportunities for fishing & angling. 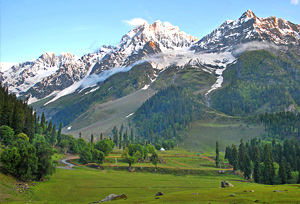 The Lidder Valley is situated within the field of Pahalgam Tehsil of Anantnag district. 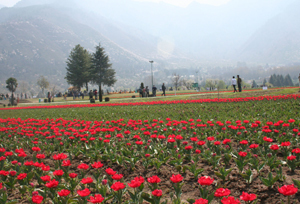 It is bordered by Kashmir Valley to the west and Sind Valley to the north and covers a length of 40 km. It has a maximum width of 05 kms. The day is booked for trout fishing in different beats of lower Lidder valley. In the evening, return back to the hotel a night stay. After breakfast, proceed for trout fishing in lower Lidder valley (lower Wahdan, Batkut). Later, in the afternoon drive back to Srinagar. An overnight stay at the houseboat. After breakfast, transfer to Airport to board the flight for Delhi. On arrival in Delhi, transfer to international airport to board the flight for home country.